We offer area rug cleaning services in Boynton Beach, Delray Beach, Boca Raton, Palm Beach and all the surrounding areas. 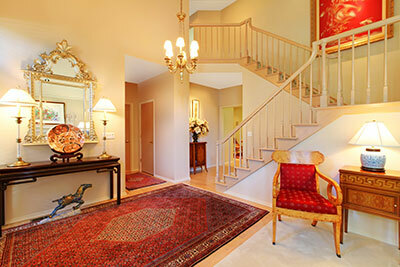 At Boynton Beach Oriental Rug Cleaning Pros, our specialty is cleaning fine Oriental, Persian and antique rugs. But we are happy to clean any area rug that you might own that has sentimental value. With over 28 years experience cleaning area rugs, we will clean Chinese rugs to Persian Rugs and other machine made rugs. We pride ourselves with amazing white glove service and a complimentary consultation at your home or office. Boynton Beach Oriental Rug Cleaning Pros are the best rug cleaners in Boynton Beach, FL. Our clients love our service and appreciate that we offer a free consultation at your residence or place of business. Our no-hassle professional opinion is regarded highly by our clients and they appreciate our quoted price is what we will charge. We believe in a fair price and not quoting once price when your rug is picked up and then billing a much higher price when it's delivered. We simply won't do that. Other companies might want you carry your precious rugs to them... Not us. 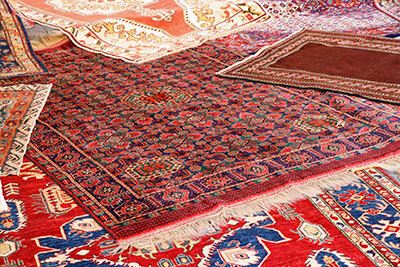 ​We will gladly stop by at your convenience, examine your rugs and provide you with a no-obligation quote. If you like what our experts at Boynton Beach Oriental Rug Cleaning Pros has to offer, we'll have your area rugs back to you in approximately 7-10 days. Wool rugs fall into the same category as many of the most valuable items in your home. As one of the most popular rug styles, they require regular care and maintenance in order to stay in prime condition. While many homeowners attempt to perform personal, in-home care on their own, this most often leads to accidental damages due to a lack of rug cleaning experience—this is where our Boynton Beach Oriental Rug Cleaning Pros can help. Instead of opting to rent a rug-cleaning machine, give us a call and allow our rug cleaning professionals to work their magic. With years of experience, Boynton Beach Oriental Rug Cleaning Pros has serviced all different types of Oriental rugs, including those made from wool. Our qualified staff understands the ins and outs of wool rug maintenance and can extend you a guarantee that your rug will be perfectly safe in our hands. Before we begin our cleaning process, we opt to test different kind of cleaning solutions on your wool rug in order to ensure its colors and textures are not damaged at any point throughout the procedure. We also take note of a variety of factors, including thickness, age, weaving technique and much more so that we are able to determine the ideal customized cleaning method for your wool rug. Our professional rug experts use specialized techniques from start to finish to guarantee a successful final product. While wool rugs are known for their durability, they still suffer a surprising amount of damage from dust and dirt. This is exactly why it’s important that each step of our cleaning processes be designed to thoroughly remove every last particle dirt, dust, and grime, to leave you with a restored rug that is made to last. Main staples in the décor and style of your home, area rugs use bright colors and carefully thought-out shapes to enhance any room they reside. 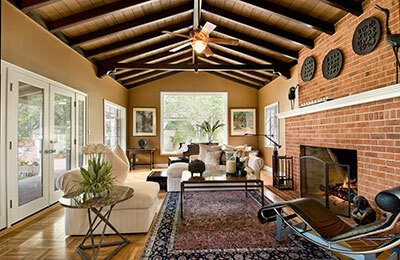 Although well-worth their high cost, area rugs do require large amounts of work and upkeep for homeowners. These delicate objects are easily stained and damaged, and unfortunately their fabric, materials, and coloring are not easily duplicated; however, with the assistance of trained rug cleaning, repair, and restoration professionals, your area rugs will find the preservation they need to last a lifetime. Area rugs withstand a lot of usability in your home—pressure from heavy furniture, buildups of dust and grime, constant foot traffic, and accidental liquid spills. Overtime time, this can cause a lot of distress to your area rug, taking a toll of its overall shape and condition. While some in-home care is always suggested to maintain the beauty of these rugs, extensive cleaning should be performed by trusted professionals. Our trained cleaners are ready to tackle any job, whether it be a Persian, Oriental, Chinese, or simple machine-made variety area rug. We use gentle cleaning and drying processes to prevent damages that stem from chemical-based detergents. Following a full cleaning, we double check to make sure that your area rug is fresh, vibrant, and good-as-new. If it doesn’t meet our company’s standards of excellence, we will repeat any step of our process again until it’s corrected. We stand by our promise to never return a rug to our client that is shrunken, discolored, faded, or faulted in any way. Love it or hate it, area carpets are essential commodities in today’s modern homes. While decorative and comfortable, carpets endure heavy foot-traffic, large furniture marks, and become one of the major dust and dirt collectors in your home. In order to successfully remove these particles, as well as spills, stains, and additional spots, regular area carpet cleaning is a necessity. While an occasional cleanup can provide some benefits for your area carpets, regular carpet cleaning done by professional rug cleaners is recommended in order to prevent your carpets from becoming dull and worn down. Our carpet cleaning services are tailor-made to ensure your area carpet stays stunning and fresh long after we’re finished. It’s our job to help protect your investment, which is why we consciously make efforts to use detergents in accordance with the material from which your carpet is made, and guarantee that your carpets are thoroughly dried and mildew free before our cleaning is complete. Our team has received extensive training in the art of carpet cleaning, and once you’ve placed your area carpet in our hands, we can promise tangible results without causing any harm or damage to your valuable carpet—for us, perfection is simply part of our job. Our team at Boynton Beach Oriental Rug Cleaning Pros understands that area rugs serve the purpose to instantly add a sense of style and sophistication to any room. Created through a combination of synthetic fibers and wool or silk, area rugs require extra care in their treatment, repair, and maintenance. Our rug repair specialists complete all area rug repairs with the highest level of proficiency and skill, judiciously analyzing each area rug before we make any decisions regarding custom-repair methods. Each rug is categorized and documented, helping for future references during additional repairs and cleanings. As we repair area rugs, we limit our use of tools, instead opting to use traditional hand-repair procedures that yield the best results for these delicate rugs. We repair all fringe damages in a quick and efficient manner. We will completely re-fringe an area rug, or add additional artificial fringes. When a rug fringe is too long it can become a hazard in your home, and our team is able to untangle and trim your rug while also maintain it’s original appearance. We repair all rips and tears, and our technicians are trained in the sewing techniques to provide a flawless look of authenticity. Our team is also experience in rug resizing. If your area rug is too large for your living space, we can trim it down and make alternations so that you can display a smaller version of the original—without looking its style or quality. If you’re experiencing any of the issues listed above, or if you have additional rug repair needs, don’t hesitate to contact us for an inspection or to answer any further questions you may have. The biggest risk concerning area carpets, despite their size, is for possible spills or various dirt particles to become engrained in their fibers, which can lead to permanent damage. Additionally, area carpets come in many different colors, shapes, sizes, and materials, which can increase the difficulty in repairs. Despite any potential difficultly, Boynton Beach Oriental Rug Cleaning Pros has a trusted staff that has been trained in these situations, and can quickly and effectively repair any damages that threaten your area carpets to lose their charm or appearance. Well-educated in various repair methods, our staff can mend even the worst-for-wear area carpets. Area carpets tend to be sensitive, so we promise to provide the utmost care and concern to analyze, repair, and have your carpets safely returned to you in no time. You can rest assured knowing that our Oriental Rug Pros will make the restoration and repair of your area carpet their first priority, and that we won’t rest until you’re completely satisfied. Persian rugs are not only stunning in appearance, but they are also precious and fragile. Always in demand and sought-after, Persian rugs are known for their handcrafted construction and finesse. Unfortunately, due to their delicate natural and expensive status, these rugs are also known to be much harder to clean and even more prone to suffer long-term damages. Created with great deal of effort and skill, it takes extensive knowledge and experience to properly clean Persian rugs, ensuring that their texture, dyes, and imagery is not harmed throughout process. Persian carpets have traveled thousand of miles in order to reach our homes and enrich them with their unique blend of cultural aesthetics. To maximize their longevity and shine, our Rug Pro team treats every Persian carpet as a valuable commodity, doing everything we can to protect our customer’s investment. While cherished and expensive, Persian carpets tend to be less sturdy, causing substances like dirt, dust, and mold to permanently threaten their appearance. Attempting at-home care is actually quite risky when dealing with Persian carpets, especially if owners try to use traditional home washing methods. To avoid unnecessary stress and accidently harm, it’s best to get a helping hand from our professionals. Every time you look at a Persian carpet, you’re looking at an object that required countless hours of effort performed by a skilled craftsman. With this level of sophistication in its construction, Persian carpets are able to long-outlast their industrial counterparts, while also bypassing them in appearance. To maintain this pristine form, you can look to our rug-cleaning experts for quality, first-class service, pledging that we provide you with only the best results during each individual cleaning. Antique rugs have the capability to descent the decades and transport us back into another time. These magnificent rugs are often thought of as prized possessions, with their value growing more and more expensive with each passing year. 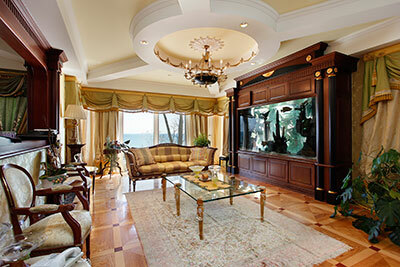 With this concept of antique luxury also comes increased maintenance and meticulous cleaning procedures. Every technique used on your antique rug to maintain its splendor must adhere to strict guidelines for dealing with an antique that was created during a certain period of time with certain materials. Lucky for you, this job to preserve your rug’s beauty does not have to be done alone. With the help of our Oriental Rug Pros, we can fully restore your antique rug back to its authentic form. While you don’t have to become a rug expert in order to own one of these precious rugs, you should enlist an expert’s assistance for cleaning and restoration. Mistreatment of an antique rug can easily shave thousands of dollars off of its value, and once damage is done, there’s no going back. Instead of fully replacing your antique treasure, let our rug cleaning professionals service your antique rug while you enjoy carefree ownership. Repairing an antique rug is quite difficult, especially for those who lack the appropriate training when it comes to proper care and handling. Antique rugs are regarded as one of the most precious asset a family can own, and the thought of accidently damaging one of these valuable rugs is understandability distressing. 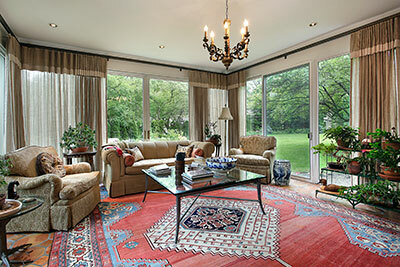 The increased age of antique rugs means that they’ve likely exchanged hands between multitudes of owners over time. Each owner had his or her own appreciation and ideas about how to treat their rug, and while many were undoubtedly cautious and attentive, others likely treated the handcrafted piece as little more than a floor covering. To rectify any previous mistreatment and to improve the current state of your antique rug, allow our rug repair specialists to work their magic. We all love our pets, but unfortunately our fluffy, four-legged friends also increase our odds for accidental spills and damages to our carpets, upholstery and clothing. With some of the current products on the market, it’s at lot easier to deal with potential pet stains in your home, but how do you deal with the potential pet odor? Many pet owners may have given up on even attempting to perform efforts to remove lingering odors, but to those owners, we’re happy to say that our Oriental Rug Cleaning Pros are here to help. While some at-home care can sometimes be helpful in decreasing the intensity of a pet odor, even the best of these recommended methods cannot match up to the proven success rate of our pet odor removal services. With our resources and expertise, we’re able to erase the memory of even the foulest pet odor in a relatively short amount of time. We will eliminate every last trace of the unpleasant odor, and leave you with a rug that is clean and fresh. Time and time again, we’re pleased to see how amazed and truly appreciative our pet owner-customers are who have allowed us to service their rugs. Those who saw their pet odors intensifying in their dense, difficult fabrics, soon came to find out that our team at Boynton Beach Oriental Rug Cleaning Pros was able to make miracles happen. At Boynton Beach Oriental Rug Cleaning Pros, we are more than happy to help you get rid of pesky pet odors and pet stains that have found their way onto your rugs and carpets. 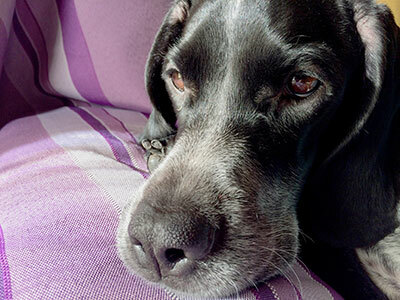 More often than not, if you have a pet odor, then there will most likely be an ugly pet stain that accompanies it. While some stains come up easier than others, you’ll be faced with certain stains that will not remove no matter how hard you scrub. Our team understands that your pets are an important part of your family, but we also understand that your pets can be your rug’s worst enemy. To remove pet stairs, we first start with an inspection, and then we proceed with using hypoallergenic solutions that are safe for you, your children and your pets, and we steer away from using chemical-based detergents that may be harmful to your rug and its materials. Our end goal is to remove the stain in a timely fashion while preserving your fabrics and your health, and that’s exactly what we’ll do. Our pet stain removal methods boast a tremendous success rate, and we’d struggle to remember a case when a customer wasn’t satisfied with our efforts. We’ll tackle any and every pet stain, regardless of the type of fabric or how long it’s been there. You love your pets, and we’re confident that you’ll come to love our pet stain removal services, too. While it may sound surprising, water is actually one of the most common agents of destruction against your rugs, seeping right into the rich composition of the rug and ruining its delicate fabric. Water has the ability to ruin many precious items in your home, and even an accidental spill on your carpet may cause excess moisture that can result in a growth of mold, mildew, and other bacteria. Our team of experts at Boynton Beach Oriental Rug Cleaning Pros has been trained to handle all sorts of water-related issues, and with the proper care and cleaning, we will ensure that your rug does not permanently maintain the washed-out appearance that water damage can often cause. In terms of our water damage restoration process, each situation and each rug comes with its own individual challenges, but our team will always service your rug using friendly ryes and rinses that are still potent enough to remove every trace of water impairment without damaging the texture or fabric of the rug. We check and double check that every last bit of moisture is removed, using everything from clothes and rags to hand dry the surface, to dehumidifiers and steam cleaners. Our rug restoration specialists will also use disinfectants to remove any mold and fungus from your rug or carpet, as we believe in placing the health of our customers as our first priority. A beautiful area rug is an important home accessory that brightens up the very essence of any room in your house. While warm, cozy, and welcoming, area rugs can also be sensitive and fragile. One of the most fragile parts of an area rug is its fringe, which can begin to deteriorate at an early stage. Generally, fringes are made up of cottons with a loose twist or open end, and they are very susceptible to damages caused by daily use. Time and exposure to elements like dust, dirt, and pressure from heavy traffic or bulky furniture can additionally take a toll on a rug’s fringe. When you notice that your rug’s fringes have begun to collect grime, taking on a dull or worn appearance, then it’s time to call in the experts. Our team at Boynton Beach Oriental Rug Cleaning Pros is seasoned specialized at dealing with the delicate fringes on a variety of rugs and carpets. When cleaning, our staff uses mild and chemical-free detergents to help avoid damage, and be ensure that our equipment using through cleaning and drying will not cause any added harm to your rugs. Typically, we are most successful in our use of traditional yet thorough hand-washing methods, which are designed to protect your rug and its fringes from additional damage while also giving it a fresh appearance. Whether your fringes have built up stains from pet waste or food spills, or they’ve suffered from weather or water damage, our professional cleaners always have a clear picture of what our customers need and focus on surpassing your expectations. It’s very common for the edges of area rugs to signal the first sign of deterioration or damage. While area rugs are stunning and eye-catching, they’re also prone to the wear and tear of every day use. The edges and fringes of these rugs will fray over time, causing their initial neat appearance to become worn out and tangled. Our professional cleaners are able to repair the fringes of any rug, even those in the worst conditions. We make our repairs with the goal of restoring the rug’s original appearance so that there is no evidence that alterations or modifications were ever completed. If the fringes of a rug are only slightly damaged, our team is able to use specialized equipment to untangle and repair them in a order amount of time. If we find that the fringes have suffered an extensive amount of damage, we will replace them with an exact replica of the original, guaranteeing that it’s authenticity is retained. By allowing are our trained staff to complete simple repairs to your fringes, you’re able to extend the overall lifespan of your rug rather than being forced to replace your valued possession all together. At Boynton Beach Oriental Rug Cleaning Pros, we not only want to return your rug to you looking as good as new, but we also want to return your rug to your with increased strength and durability. Sun damage is one of the most challenging issues that rug owners face. The fade or loss of color can completely change the aesthetic of your rug, causing it to look dull and shabby. Another major cause of discoloration in rugs is the use of strong chemicals, such as bleach for in-home washing purposes. Additionally, cleaning too often, either by water or using a vacuum cleaner, can also contribute to your rugs loss of color. Regardless of the source of discoloration, a colorless and faded rug can change the mood of an entire room. Our team of specialists is able to examine your rug to determine the extent of the damage, inspecting the rug’s individual fibers to narrow down an option for appropriation color correction and restoration. Through our expert dying and other color correction processes, we can revive your rug and restore its former beauty. The methods used for correcting the color of any rug is never an easy task, but Boynton Beach Oriental Rug Cleaning Pros is able to handle even the most extensive repairs thanks to years of experience and proven results using the most natural treatments available. Rug padding is installed on the underside of your rug or carpet to protect it from potential damages with the hope of extending its lifespan. A rug pad can help reduce the amount of stress placed on the rug’s fibers, especially for silk, Persian, Oriental or Antique rugs, while also providing an extra layer of protection for your floor. This extra layer of cushioning protects the rug from seemingly harmless elements, such as a water spill, that is actually capable of causing extensive damage to the rug’s material, fabric and colors. At Boynton Beach Oriental Rug Cleaning Pros, we will help you select the best padding for your rug and your home. If your floor is made up of tile or marble, we will provide non-slip or skid padding, which ensures that the rug is not easily moved by furniture or by foot traffic. Our team also provides custom-made padding for your rug so that you are able to add an extra layer of protection for your family with young children. We’re happy to present you with multiple different solutions based on what kind of rug you own and what additional needs and requirements you need to fulfill. When it comes to installation, our rug professionals will take care of everything. With most rugs, we are able to take full measurements and cut out a pad of a similar size. Then, we lay down both the pad and the rug so that the padding grips the carpet in place and prevents any movement. Once we’re finished, you’ll find yourself with improved rug with an a revitalized lifespan.